The first installment of Peter Jackson’s sprawling Hobbit adaptation hit theaters almost two years ago now. 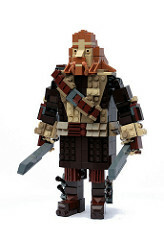 Shortly after the premiere, Finnish builder and TBB regular Pate-keetongu decided to build two of the dwarves from the movie. And he just kept going! Now, his grand opus is finally complete. 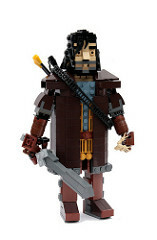 So we present to you, the company of Thorin Oakenshield in LEGO (or as the builder describes it on his blog, the “Hobbitsplosion“). As breathtaking as the above spread is, it cannot do the individual builds justice. So we encourage you to check out the full album on Flickr, or visit the builder’s blog for lots of close-ups. Each character’s hair, costume and equipment has been accurately captured, making each one instantly recognizable. 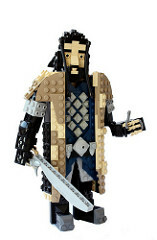 And coincidentally, I recently interviewed this builder for a coming issue of LEGO fan magazine BrickJournal, where you’ll be able to learn more about his inspirations, building techniques, and impressive body of work.